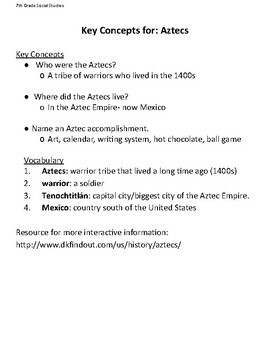 This lesson includes a modified history of the Aztecs as well as Key Concepts. For these materials, my student would be working with a group to create a group presentation about the Aztec Civilization. This was a 7th grade social studies class.